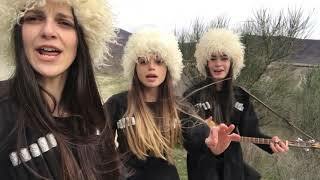 In 2014, three charming girls from Georgia "blew up" the World Wide Web and became stars. 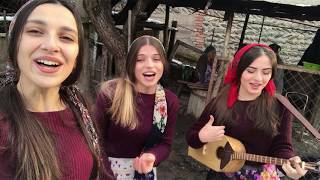 This "fairy tale" began on the day when three friends, during a walk in the village, decided to sing a song. Tatuli made a self- video and uploaded it to the Internet. This video dramatically changed the girls' lives. Within two weeks the video was watched by a multi-million audience. The popularity of "Trio Mandili" is growing every day. Today the group has about half a million subscribers on Facebook. Fans from all over the world watch girls' creations with interest on the "Trio Mandili" Facebook page. The name of the group was not chosen by accident. Mandili is a female headdress in the shape of a scarf. Traditionally, women threw a handkerchief to the ground when they wanted to reconcile the conflicting men. In 2015, Trio Mandili released its first album titled "With Love". The group actively tours around the world, participates in festivals of folk music and gives solo concerts. 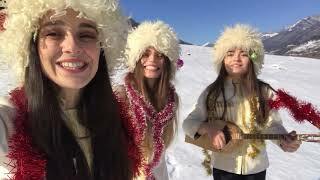 The singers have already visited Belgium, Poland, Ukraine, Bulgaria, Switzerland, Austria, Hungary and Russia. 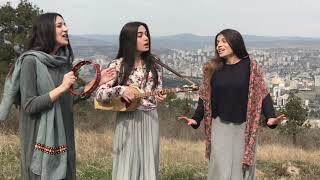 "Trio Mandili" is a frequent guest of popular TV and radio shows in different countries. In 2017, the girls will once again please their fans as the second album of the group will be released. 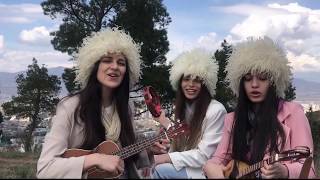 New lyrical compositions to the accompaniment of popular folk instruments reveal the unique spirit of the picturesque Georgia and the breadth of the soul of the Georgian people. 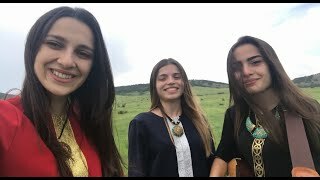 Trio Mandili - Merry Christmas!